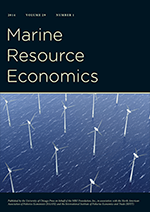 Environmental Economics: Is a policy right if justified for the wrong reason? Is a policy right if justified for the wrong reason? Barack Obama may consider introducing a tax on carbon emissions to help cut the U.S. budget deficit after winning a second term as president, according to HSBC Holdings Plc. A carbon tax starting at $20 a ton of carbon dioxide equivalent and rising at about 6 percent a year could raise $154 billion by 2021, Nick Robins, an analyst at the bank in London, said today in an e-mailed research note, citing Congressional Research Service estimates. “Applied to the Congressional Budget Office’s 2012 baseline, this would halve the fiscal deficit by 2022,” Robins said. A carbon tax should be put in place if it is designed so as to price carbon at its marginal external cost (that is the additional cost imposed on others that is not currently captured in the benefit/cost calculation by the emitter). Carbon tax revenue may as a byproduct reduce the deficit, but justifying the tax on the grounds of deficit reduction seems misleading and we run the risk of ultimately mispricing carbon based on ulterior objectives. But I guess this just boils down to whether the end justifies the justification?